Acura has announced plans to introduce the 2014 RLX Sport Hybrid SH-AWD at the Los Angeles Auto Show on November 20th. 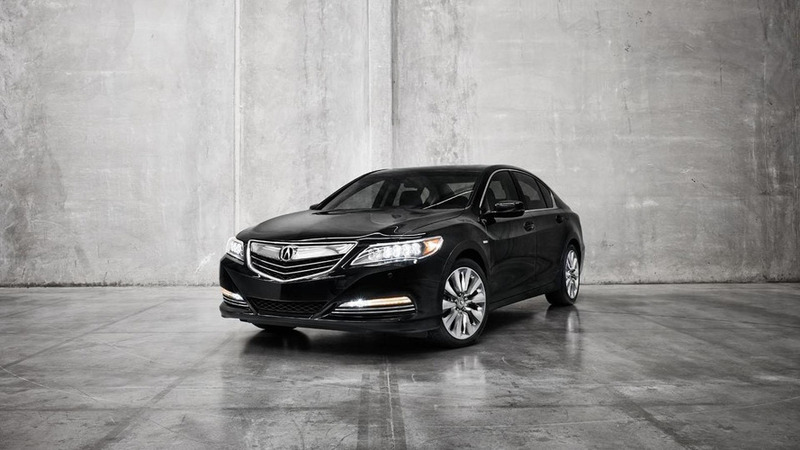 Destined to become the company's flagship sedan, the RLX Sport Hybrid SH-AWD is billed as the "most powerful and technologically advanced Acura sedan ever made." Power is provided by a 3.5-liter i-VTEC V6 engine and three electric motors that produce a combined maximum output of 377 bhp (281 kW). The powertrain is connected to seven-speed dual clutch transmission which enables the model to average 30 mpg (7.8 L/100km / 36 mpg UK). The car also features a torque-vectoring Super-Handling All-Wheel Drive (SH-AWD) system that promises to deliver "outstanding handling and all-weather performance capabilities." The 2014 RLX Sport Hybrid SH-AWD will go on sale next year and pricing will be announced closer to launch.